Vote today and everyday this month to help your favorite blogger win the May Thumbs Up challenge. The warm breezes and longer days signal that we can finally escape to our decks, patios, and porches to bask in some much needed sunshine. And how could we enjoy our outdoor structures without an assortment of chairs, tables, and other furnishings? 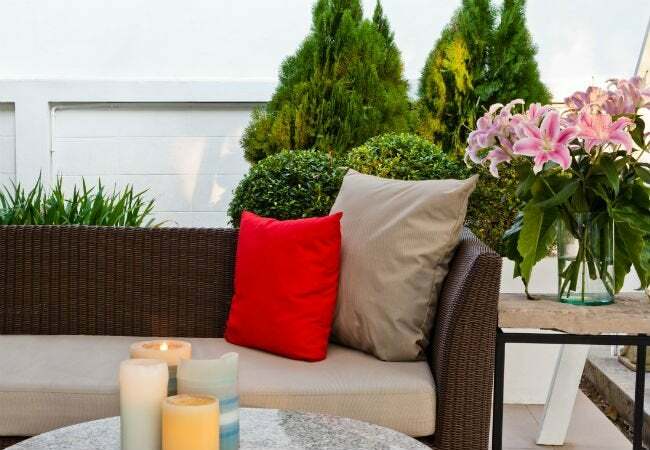 To welcome spring, and to inspire you to spruce up your own spaces, we’re showcasing some of the best outdoor furniture projects on the web for this month’s Bob Vila Thumbs Up competition. Bob Vila Thumbs Up recognizes some of the very best DIY projects around, and this month we’re shining the spotlight on amazing outdoor furniture projects. Each of these bloggers wins points in our book for creativity but only one can win the Bob Vila Thumbs Up competition and the $250 gift card. So cast your vote today and every day through May 31st to help your favorite outdoor furniture project become this month’s Bob Vila Thumbs Up winner. After all, only you and your vote can determine the outcome of this competition. Congrats to last month’s winning blogger, Prodigal Pieces. Read more about the winning Bob Vila Thumbs Up project here.